An article entitled " Disposal of olive oil mill wastes in evaporation ponds: Effects on soil properties" by V. Kavvadias, M.K.Doula, K. Komnitsas, N. Liakopoulou, was published in the Journal of Hazardous Materials (Vol. 182, pp. 144-155). 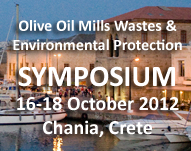 ABSTRACT : The most common practice followed in the Med countries for the management of olive oil mill wastes (OMW) involves disposal in evaporation ponds or direct disposal on soil. So far there is lack of reliable information regarding the long-term effects of OMW application on soils. This study assesses the effects of OMW disposal in evaporation ponds on underlying soil properties in the wider disposal site as well as the impacts of untreatedOMWapplication on agricultural soils. In case of active disposal sites, the carbonate content in most soils was decreased, whereas soil EC, as well as Cl−, SO42−, PO43−, NH4+ and particularly K+ concentrations were substantially increased. Soil pH was only marginally affected. Phenol, total N, available P and PO43− concentrations were considerably higher in the upper soil layers in areas adjacent to the ponds. Available B as well as DTPA extractable Cu, Mn, Zn and Fe increased substantially. Most surface soil parameters exhibited increased values at the inactive site 6 years after mill closure and cease of OMW disposal activities but differences were diminished in deeper layers. It is therefore concluded that long-term uncontrolled disposal of raw OMW on soils may affect soil properties and subsequently enhance the risk for groundwater contamination. The scientific teams of Soil Science institute of Athens-NAGREF, of Technical University of Crete and of Institute of Mediterranean Studies submited and presented three posters during the 2nd International Conference on Hazardous and Industrial Waste Management. V. Kavvadias, A. Sarris, M. Doula, D. Zaharaki, S. Theocharopoulos, K. Komnitsas "Soil Quality Monitoring in Olive Oil Mill Waste Disposal Sites" Proceedings of the 2nd International Conference on Hazardous and Industrial Waste Management, 5-8 October, 2010, Chania-Crete, Greece, pp. 485-487. M. Doula, K. Elaiopoulos, V. Kavvadias, V. Mavraganis "Use of Clinoptilolite to improve and protect soil quality from the disposal of olive oil mills wastes" Proceedings of the 2nd International Conference on Hazardous and Industrial Waste Management, 5-8 October, 2010, Chania-Crete, Greece, pp 481-483. D. Arapoglou, M. Doula, V. Kavvadias, D. Ikonomou, S. Theocharopoulos, P. Tountas " Monitoring of Phenols concentration in soil of olive oil mill waste disposal sites" Proceedings of the 2nd International Conference on Hazardous and Industrial Waste Management, 5-8 October, 2010, Chania-Crete, Greece, pp 477-479. 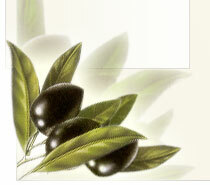 ABSTRACT : Olive oil mills wastes (OOMW), a by-product of the olive mill industry, are produced in large quantities in Mediterranean countries. OOMW are characterized by high organic load, substantial amounts of plant nutrients but also several compounds with recognized toxicity towards living organisms. The effect of the disposal of untreated OOMW on soil chemical properties was investigated by collecting and analyzing soil samples from areas near evaporation lagoons in the island of Crete, south Greece. ABSTRACT : Olive oil mill wastewaters (OOMW) represents a significant environmental problem especially in the Mediterranean, the main olive oil production region in the world. Characterization of OOMW is carried out by determination of various parameters, such as BOD5, COD and content of total phenols. The aim of this paper is to evaluate existing (physical, biological, etc) and emerging technologies for an integrated treatment of OOMW. EU legislation regarding OOMW disposal practices is limited and only concerns the protection of the environment from the adverse effects in soils and water bodies.